Capcom confirmed this Thursday that production has begun on a live-action film adaptation of Monster Hunter. The Japanese publisher is once again partnering with Resident Evil director Paul W.S. Anderson to write, direct and produce the film. Milla Jovovich - also of Resident Evil fame - will star in Monster Hunter, while actor Diego Boneta confirmed his role alongside Jovovich on Instagram earlier this week. Principal photography for the film begins this month in South Africa and Namibia. The story will centre on “two heroes who come from different worlds to defeat a shared danger, the powerful, deadly and magnificent monsters that inhabit the land,” according to Capcom in a statement. Constantin Film is developing the project, as well as distributing the film in Germany. Tencent Films is handling Chinese distribution, with Sony handling the US and International releases under Screen Gems and Sony Pictures Releasing International respectively. 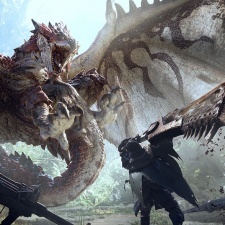 Monster Hunter’s adaptation has been rumoured for a while, but it’s not the only film project to be announced by Capcom this week. The publisher announced Mega Man’s big screen debut yesterday. This comes as the critter brawler has spread outside its rather niche audience to become more of a mainstream success. The game has sold over ten million copies since its January 2018 launch - with in the region of two being on PC.